The new series of Doctor Who has only lightly connected with the classic series so far, not wanting to risk alienating viewers with too much continuity right off the bat. Rather than delving too much into the history of the Time Lord, this first series seems content to simply show the breadth and scope that the format of the programme offers while keeping it grounded through the eyes of Rose. As such, it has been the tone of certain episodes that has really sustained the connection so far, and ‘The Empty Child,’ as the first of a two-part story, certainly hearkens back to the more romantically gothic era, featuring a fascinating setting and incredible character interactions. A definite part of what makes ‘The Empty Child’ so successful already is that the slower pace that the two parts affords allows the atmosphere and setting to be fully explored. Having the Doctor slowly figure out where he has landed through a series of missteps is cleverly done, and having Rose inexplicably end up hanging over London during a German blitz instantly sets the danger of the scene while allowing for a spectacular introduction of the roguish Time Agent Captain Jack Harkness who is charismatically brought to life by John Barrowman. The quick-witted criminal figure is a superb addition to the series, and hopefully he will be a long-lasting figure on the series since he instantly brings out a more fun side to Rose as she still tries to get her head around the audacity that the changing situations of her continuing travels presents. She is clearly infatuated with Captain Jack, and this will be an intriguing storyline to follow going forward, especially since Jack has already come to life much more fully than Adam ever managed. Yet it’s the tone and direction of this stellar script that elevate the episode even further. 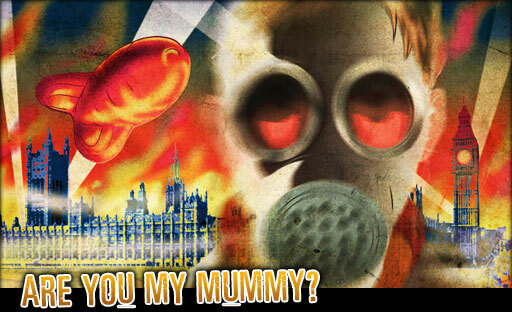 As scary as large groups of enemies can be, there’s something chillingly unsettling about a single child in a gas mask incessantly calling for Mummy. It’s clear that this child is not a villain in the classic sense, but the fear he elicits in the other street children suggests that there is something more sinister at play. The revelation of the gas-masked victims as well as Richard Wilson’s Dr Constantine changing into a gas-masked creature, all of whom start converging on the Doctor, Rose, and Jack, is an enjoyably tense cliffhanger. Even then, the smaller touches of the nighttime setting and the use of telephones really help sell the danger of the situation even without the wartime backdrop. For a new endeavour, it’s clear that BBC has afforded a hefty budget to Doctor Who, and the visual effects bring war-torn London to life spectacularly. With planes buzzing overhead and a great sense of scale, the setting is just as much a character as the people themselves, and it helps to sell the dire situation and rather bleak responses that the young children and other denizens of the time find themselves in. Rather than overburden the script with melancholy and woe, though, the tone continually shifts to keep viewers alert and attentive. Few shows could so adeptly switch between a first-person point-of-view of the titular child watching the others, Nancy taking the time to remind the other children of their manners as they pilfer food during an air raid, and then a burgeoning romance atop an invisible spaceship above London. With Christopher Eccleston able to insert a few quirks that prove that he is just as much the Doctor as any of his predecessors- his talk with the alley cat and rather romantic recap of the British resistance that overlooks the struggle and oppression being highlights- this is an episode that encapsulates the classic series in its prime more than any other so far. Steven Moffat should be commended for crafting such an engaging and haunting opening part of his story, though he has certainly set the bar high for the concluding ‘The Doctor Dances.’ With sparkling dialogue, engaging characters, strong visuals and settings, and a superb underlying mystery and tension, ‘The Empty Child’ encapsulates everything that can be great about Doctor Who.